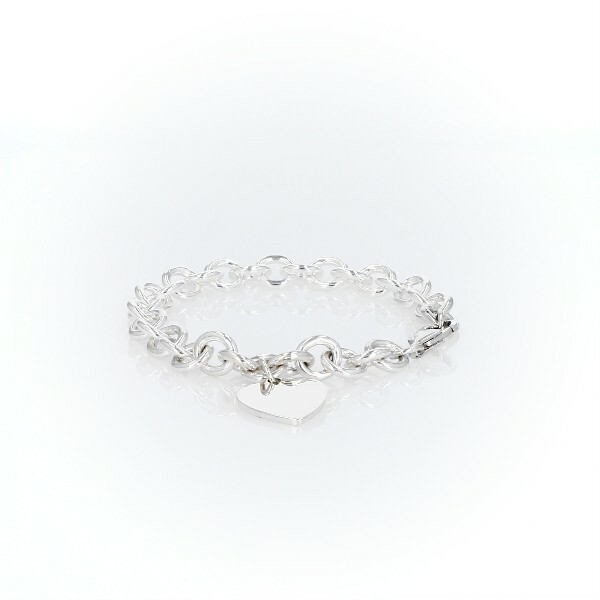 The perfect first gift of jewelry this children's heart-tag bracelet is perfectly downsized from our standard version. Polished rolo links surround the wrist, finished with a secure lobster-claw clasp. Dangling near the clasp, a heart-shaped tag can be engraved to personalize this bracelet.